Campervan Hire Sydney Specials – book direct to save big! 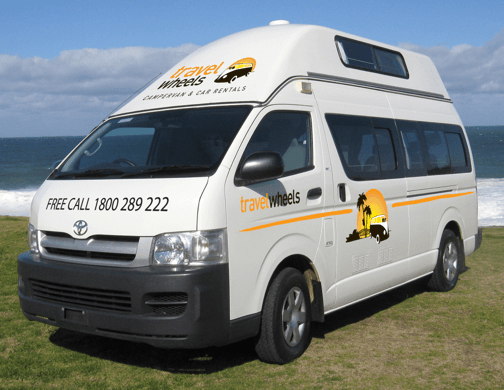 Here at Travelwheels Sydney branch we have some great deals on Campervan Hire Sydney Specials! Call our friendly team on 0412766616 or email [email protected] to see how low are prices are! We especially love beating competitor quotes for Sydney campervan rentals! 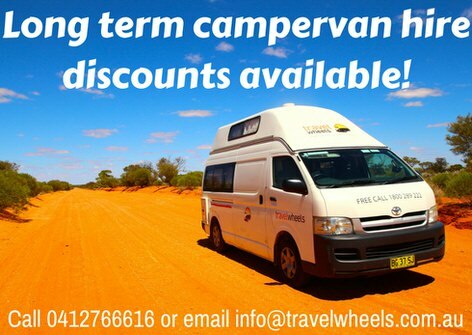 Travelwheels especially offers the biggest discounts anywhere for anybody wanting discounted long term campervan hire in Australia! Therefore we challenge you to find lower prices anywhere on the internet! Just call our team here in Sydney on 0412766616 to save big on Sydney campervan rentals. If you can find a cheaper deal and we have a vehicle in stock we will beat any campervan hire sydney quote! 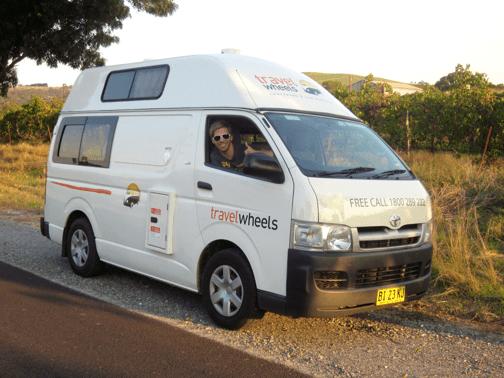 Travelwheels campervans have 3 different types of Campervan Hire Sydney Specials for you. Here is some information about each vehicle you can rent from us. This is especially a great campervan for a couple or two friends. Easy to drive and has everything you need for a great road trip. Important point to note, most of our competitors have an icebox or a tiny fridge! Here at Travelwheels we listen to our customers and this camper comes with a 55L fridge and not an icebox! Click on the link to the right for more info on our 2 person campervan hire from Sydney. This is our most popular campervan we hire here in Sydney! As a result of a hitop roof, big comfy bed and great kitchen & living area it is wildly popular with our customers. Click for more information about deals on 3 person campervans from Sydney. 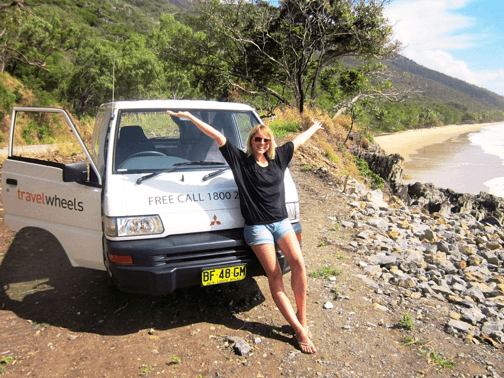 Looking for Automatic campervan hire from Sydney? Travelwheels campervans rents automatic campervans and they are so easy to drive with loads of space inside! As a result of a very practical design, they are especially popular with groups of travellers visiting Australia. Also for example they are the preferred campervan rental for families due to the child seatbelt points. Discover more about this campervan by clicking on this link for automatic campervan hire. Campervan Hire Sydney Specials – book direct for cheapest prices! 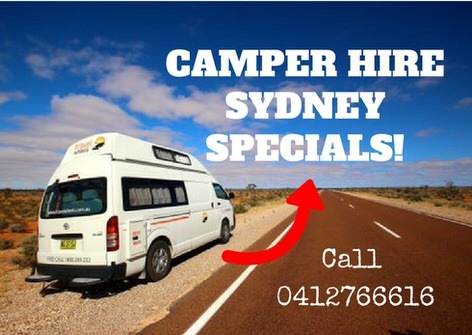 PLEASE NOTE – Campervan Hire Sydney Specials prices apply for customers who contact us directly! These rates are not available via agents and furthermore from online resellers! Call our team in Sydney on 0412766616 for our best offers. Remember, you have to be quick to get these low rates on Campervan Hire Sydney Specials. Sorry we can’t offer these low rates in peak season as we always sell out! If we sell out, then check out our sister site for Cheap campervan relocations back to Sydney. Now you have chosen your campervan, the next step is to select the Campervan Hire Sydney Specials insurance option. Here at Travelwheels we offer three types of campervan insurance. Here is a very useful link for our blog post explaining about campervan insurance in Australia. It’s well worth reading so you can understand which insurance option is best for your trip. Any further questions about campervan insurance then send us an email [email protected] or call our team on 0412766616 and we can help. Therefore to check the availability of our Camper Hire Sydney Specials, you have a few options. You can email or contact us directly. Call our friendly team here in Sydney on 0412766616 or simply fill in the form below with your dates. Enter your dates below for quick quote on Campervan Hire Sydney Specials. You can always call our team on 0412766616 for more details on last minute deals.